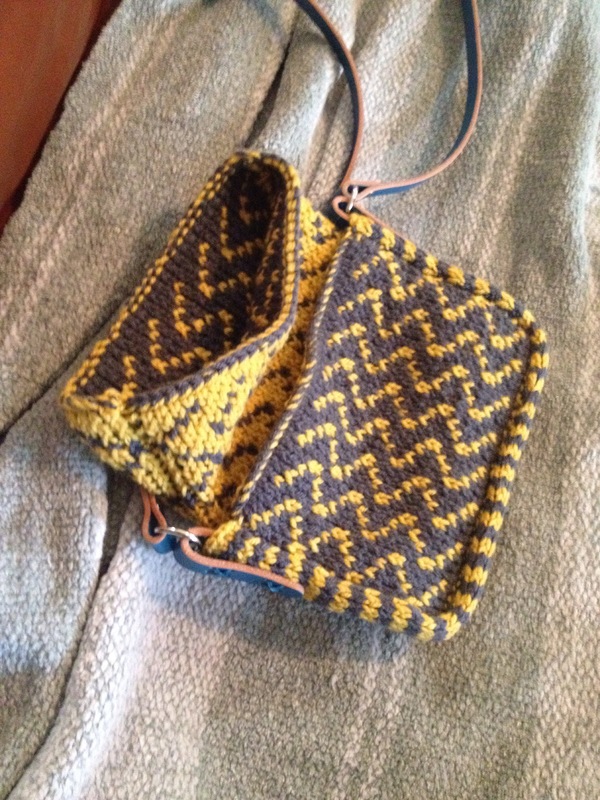 I finished my Multiplicity purse this afternoon, and I love it! 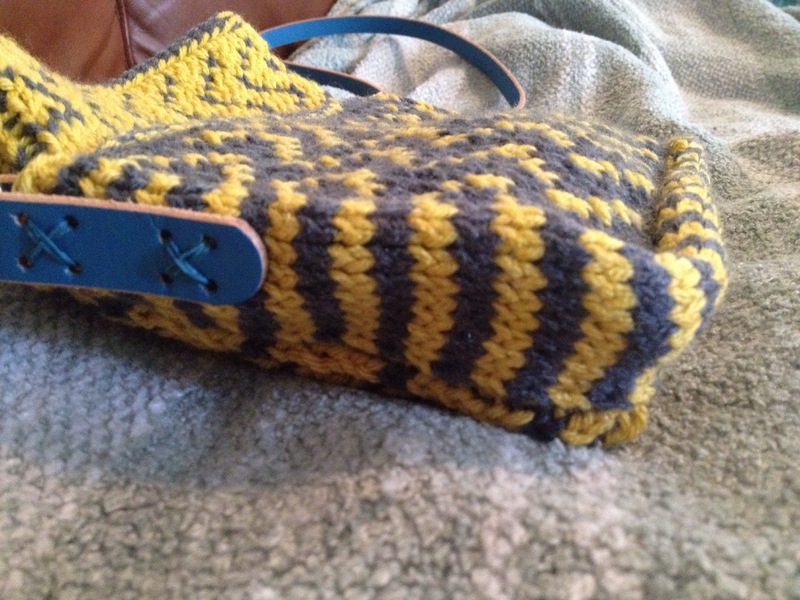 The purse is knit using double knit, which I had been wanting to learn for some time. The technique is interesting because one creates a double sided fabric by knitting one stitch from one side then one stitch from the other. The stitches from both sides are alternating on one set of needles. 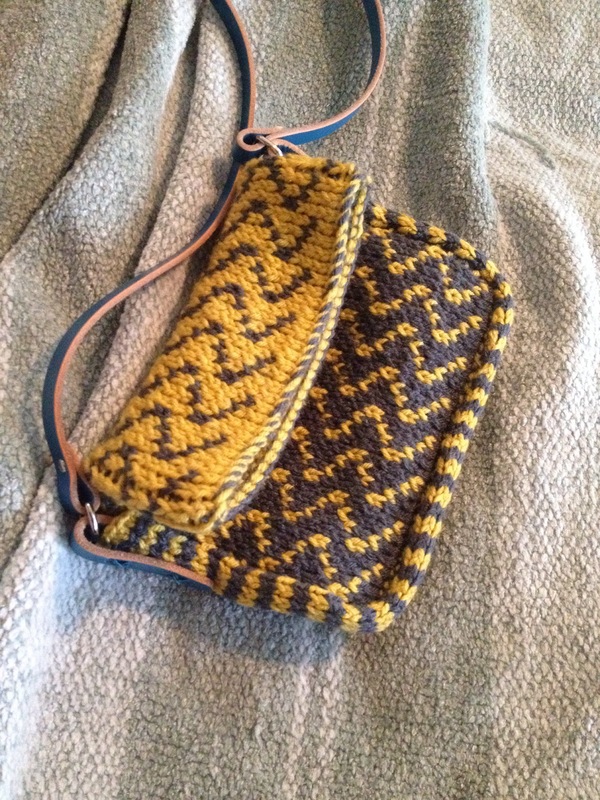 In the case of this purse, the fabric was grey with yellow details on one side and yellow with grey details on the other. The purse features a large main pocket that folds over a smaller pocket. I purchased the leather strap from Homestead Heirlooms.